Anthony started practicing yoga in the mid 1970s in London, UK. After studying with B.K.S. Iyengar in India, in 1979 he became certified as an Iyengar teacher and taught in England and Europe for sixteen years before moving to the US. As well as teaching regular classes, he led weekend workshops and residential yoga retreats. Since arriving in Tucson, he has also studied within the tradition of T.K.V. Desikachar. In the 1980s, involvement in Buddhism led Anthony back to academic study and a doctorate in Indian Buddhism from Oxford University. After teaching briefly at Oxford, he moved to the University of Montana, Missoula, where he worked as a professor of Asian Studies. At present, in addition to teaching posture-based classes, he combines his backgrounds to lead workshops on the Yoga Sūtras, Sanskrit, and the history and philosophy of yoga. He believes that a grasp of Yoga’s roots is of value and importance in understanding and deepening our practice. 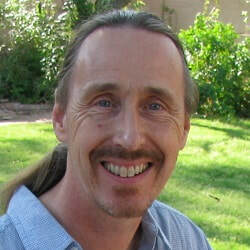 He has been teaching on 200 hour and advanced teacher trainings in Tucson since 2009. As a scholar Anthony is interested in traditions of tantric Buddhist yoga. His most recent publication is "Tantric Buddhist Practice in India: Vilāsavajra’s commentary on the Mañjuśrī-nāmasaṃgīti" (Routledge 2016). He is also a co-author of "Buddhist Thought: A complete introduction to the Buddhist tradition" (2nd edition, Routledge 2012), which has been translated into Italian, Czech, Korean and Spanish.